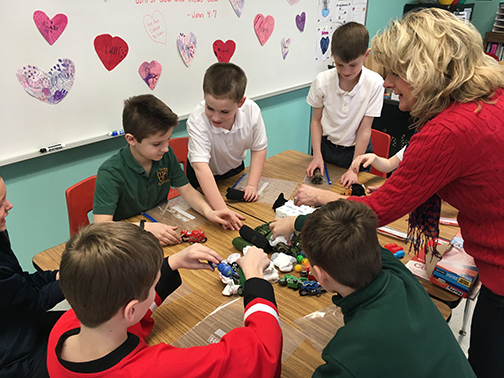 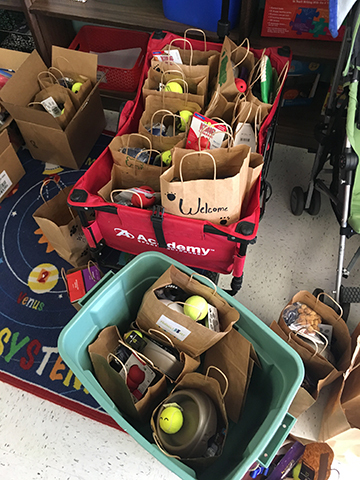 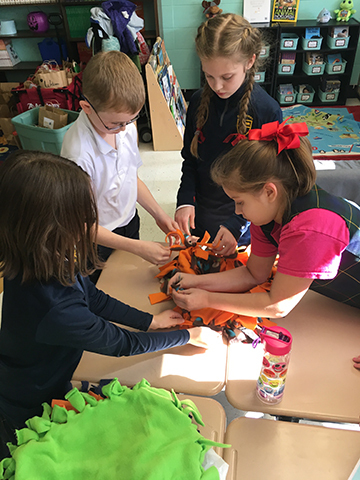 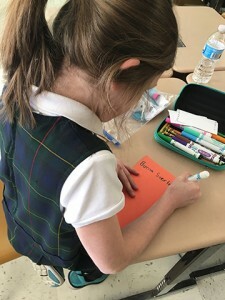 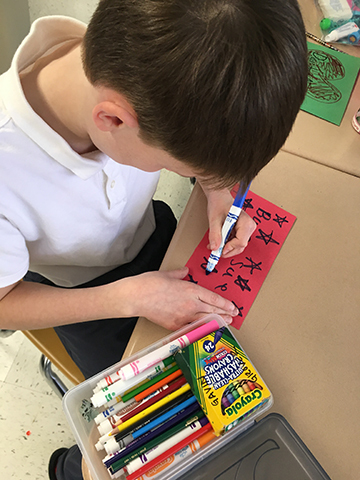 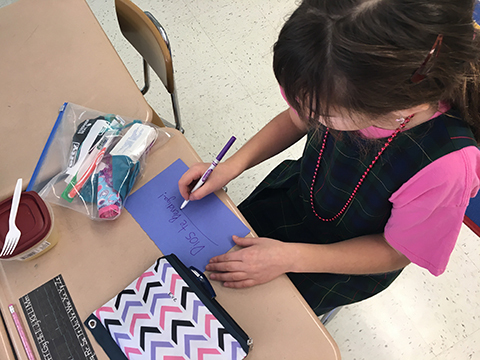 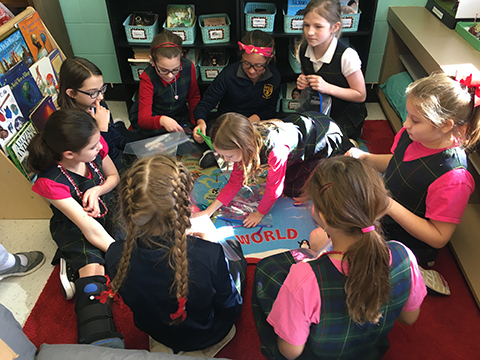 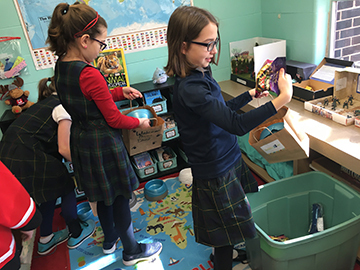 While many students were playing games and eating party snacks at their Valentine’s Day parties, the students of St. James were hard at work packing bags, tying blankets, writing notes and more. 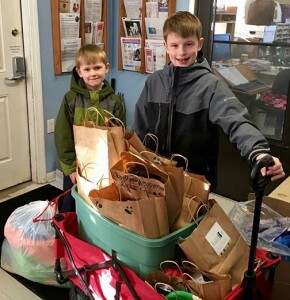 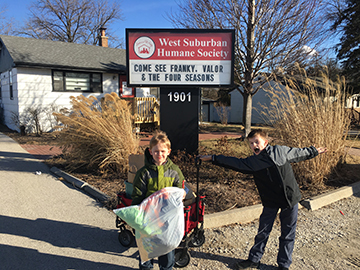 Valentine’s Day was celebrated by sending love and service to others including local organizations like the West Suburban Humane Society, P.A.D.S, the Children at Loyola Medical Center and even far away organizations like the Annunciation House in El Paso, Texas. Thank you to all of the parents and students for the many donations and hard work involved to make our Valentine’s Day Service Projects a huge success.